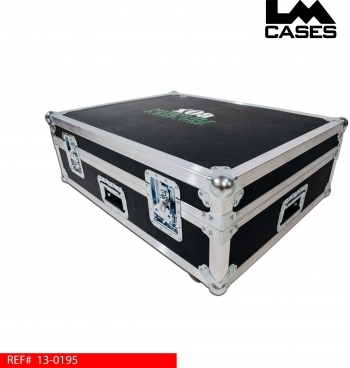 This case was designed for Starlight Visual to hold a 27" Apple iMac. 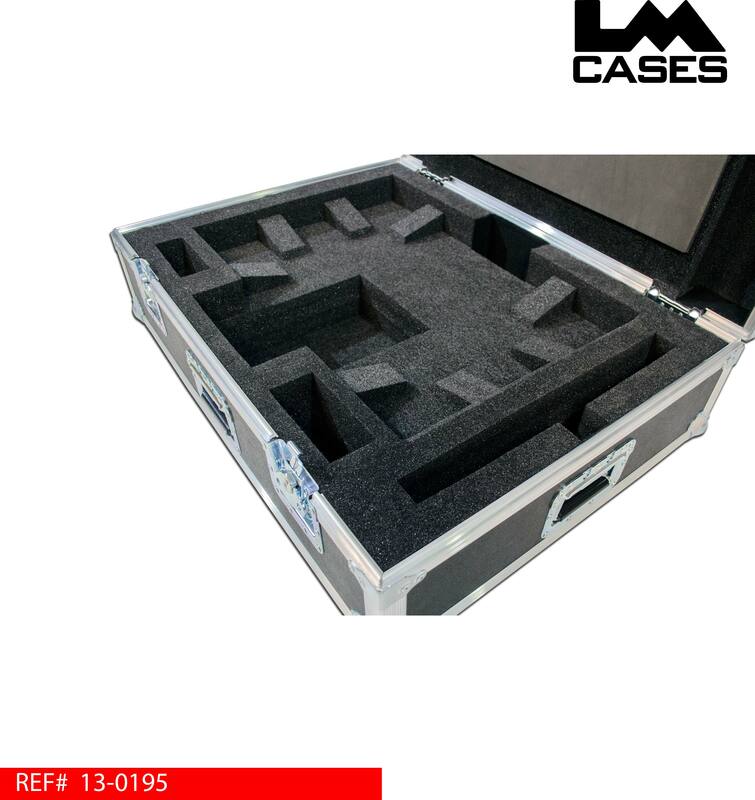 The monitor is designed to be transported screen up with custom foam blocks contouring the back of the monitors. The stand fits into a recessed foam compartment allowing the monitor to ship as an assembled unit with out modification. 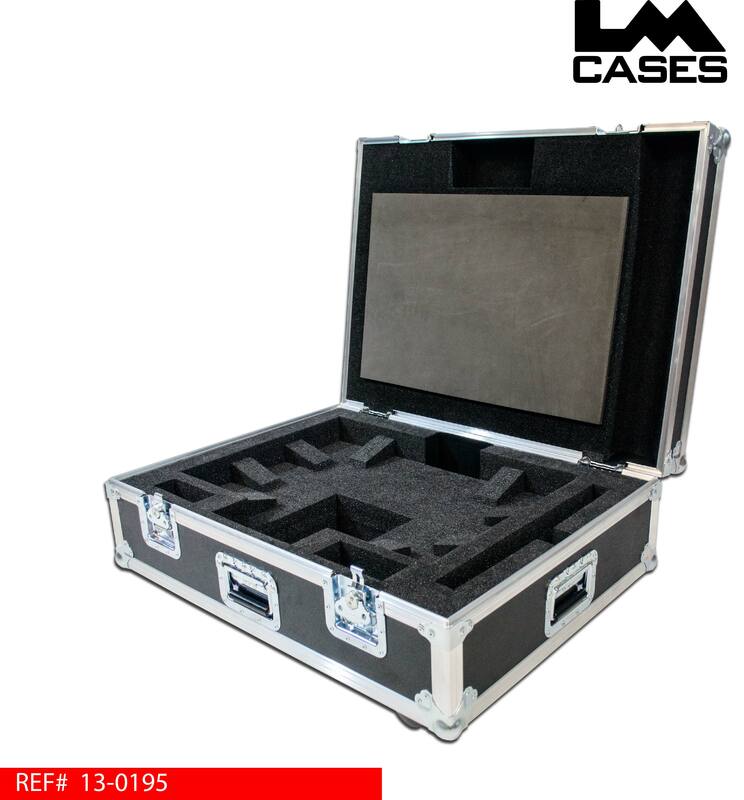 The screen rides face up resting on a piece of Crosslink foam mounted in the lid. Crosslink foam is a Class A surface designed to touch delicate glass items like glossy monitor screens and projector lenses. The custom CNC cut foam insert also includes compartments for a full size Apple keyboard and two additional compartments for mice and cables. 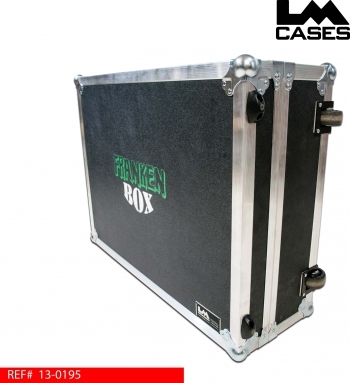 The exterior case is built out of 3/8" plywood laminated with black ABS plastic and features inboard dolly casters, recessed hardware and a two color silkscreen of the "Franken Box" logo. Special thanks to Starlight Visual!